From lending a helping hand, to staffing solutions, we’ve got you covered. 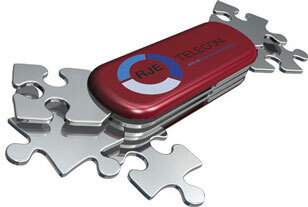 Disaster Recovery Service: RJE TELECOM can help get your network back in service fast. If your network has disaster related problems such as wind damage, ice storms or other natural disasters, we can help. In addition to Disaster Recovery, we have Emergency Response Teams that we can quickly dispatch to the affected location. We maintain a current recruiting database of qualified technicians who can quickly mobilize into any market. Our techs are trained, tested and dependable. And along with our partners, we will be there when you need us most. Central Office Technology: RJE TELECOM provides qualified engineers, installation, technical and operation technicians skilled in all aspects of Central Office Technology from legacy equipment to the latest switching platforms. We can provide certified technicians experienced in most major platforms and vendors. Installation and Maintenance: RJE TELECOM is qualified and experienced in a broad range of established and emerging technologies. Our technicians are trained to install and maintain ATM, Ethernet and other LAN/WAN devices as well as next generation technology — VoIP and MPLS. Staffing Solutions: RJE TELECOM can augment your current staff or provide complete staffing solutions for your Central Office or Network Operations Center (NOC). We have the experience and personnel to meet your needs and save you time and money. Special Circuit Inventory: Let us help you with your facility inventories. We capture the required circuit ID’s,trunk groups and assignment information to verify Facility, Special, PTP, ISDN-PRI, ISDN-BRI, Ethernet, T1, DIOD,and PBX trunks to insure a complete inventory and upload data into Metasolv or client provided circuit tracking databases. Work interruption staffing:If your business is facing the uncertainty of work interruptions, scheduled or unscheduled, RJE TELECOM’s robust recruiting department can help fill special positions quickly, efficiently and in most cases at a reduced cost. We maintain a database with tens of thousands of current and qualified candidates to fill your most demanding needs. Stimulus Packages: From conceptual design to field implementation, let us partner with you throughout the process. 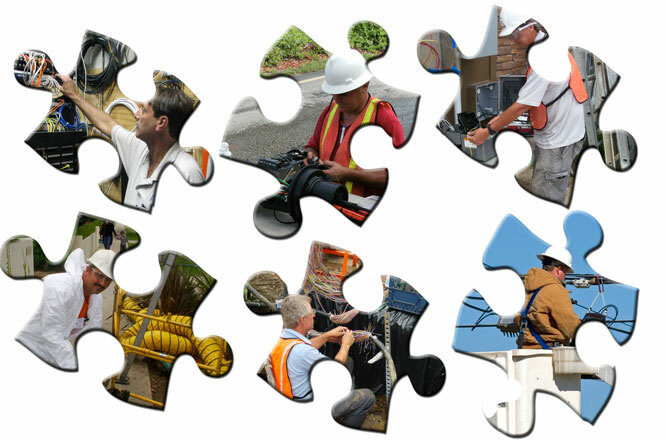 RJE TELECOM will work with you and help with initial designs in order to apply for stimulus money.